Alaska registered guides and hunt transporters using bush planes and boats! Increase your chances for a successful Alaskan hunt by using a professional Alaskan hunting guide to help you bag a trophy Alaska Moose, caribou, dall sheep, goat, grizzly or brown bear. 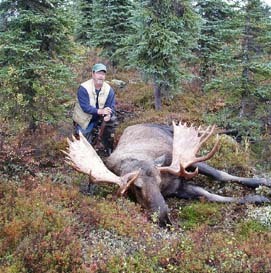 Non-residents are allowed to hunt for moose and caribou without a registered Alaskan hunting guide, but we would highly recommend hiring a registered Alaska guide for the best possible hunting results and your safety. If not, we would suggest you use an experienced and knowledgeable registered transporter to get you to a good hunting area by bush plane or boat. By Alaska law, you are required to use a registered Alaska guide in hunting for dall sheep, goat, grizzly or brown bear. Follow the below links to let your Alaska hunting adventure begin ! Hunt Kodiak Brown Bear, Roosevelt Elk, Sitka Blacktail Deer & Sea-Ducks from this elegantly rustic log lodge/cabins on one of the Kodiak Islands. High percentage of success, floatplane access, operators since 1974. Alaska Coastal Guiding offers boat based guided hunts for both Brown and Black Bear on the mainland coast and ABC islands of Southeast Alaska. All hunts are conducted aboard our 48 foot vessel where you will enjoy warm and comfortable bunks, hot showers, and excellent meals including seafood (halibut, salmon, crab) caught fresh during your trip. Hunt with an elite group of Alaska's best guides. Hunt trophy class animals with guides that will provide quality hunts and great opportunities. 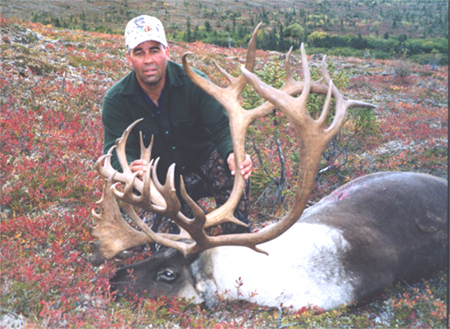 Master Guide with over 25 years experience offering premiere quality, fully guided hunts for Dall Sheep, Grizzly, Moose and Caribou. 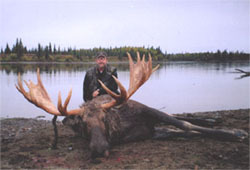 Fantastic, remote hunting areas including 2 exclusive guide use concessions within the Arctic National Wildlife Refuge. High success rates, competitive pricing and numerous references. Fly in and drop off hunts arranged. Hunt trophy class animals with the help of Alaskan transporters and outfitters that know where to hunt and how to get there. Quality hunts and great opportunities at reasonable prices. Our remote location on the Southern tip of Kodiak Island insures top notch unguided deer hunting. World-class fully guided fishing for salmon and halibut , sightseeing and photography trips are also availableusing our 33 foot, high speed and licensed vessel, the "Alaska Adventure". Click on the link to find out if you have the necessary outdoor Survival Supplies and Equipment for your hunting trip? © 2017Alaska Internet Marketing, Inc. All rights reserved.